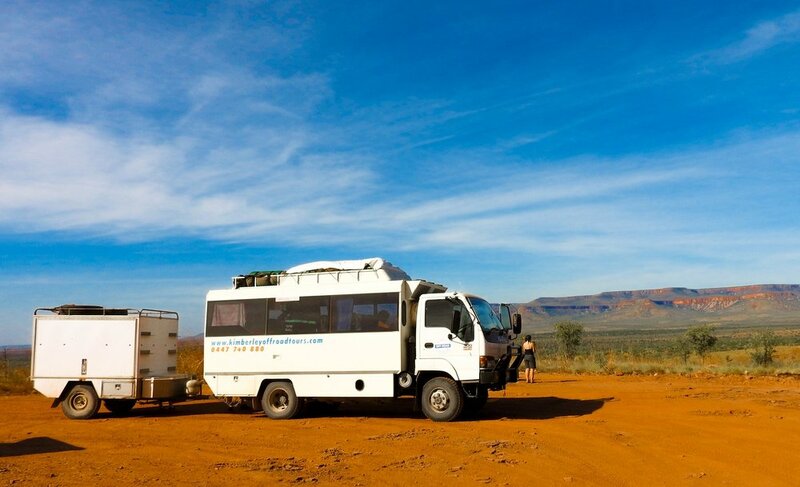 Kimberley Off-Road Adventure Tours launched in 2016 because it was our goal to offer tours which encompassed everything we love about camping and travel in the north of Australia. The company is run solely by us; Adam the guide and Lucy managing the operations. We are a young family living in Darwin and we enjoy the direct relationship we have with all our passengers. Our objective is simple, we offer our passengers as much access to the Kimberley and the Top End as possible; whilst providing the basic essentials for a comfortable adventure. We take small group tours in a 4x4 truck with ample luggage space. Our trucks are especially chosen so they’re small enough to reach Aboriginal rock art sites, waterholes and campsites; places larger tour trucks aren’t able to access. We run a fridge and freezer to ensure fresh, quality meals and a drinks esky to allow for a refreshing drink at the end of the day. Adam’s guiding career began in the Kimberley and now, almost 10 years later, his passion and knowledge of the region is stronger than ever. He has taken over 100+ tours and 1,000+ satisfied passengers across the Gibb River Road and through the Kimberley Region. 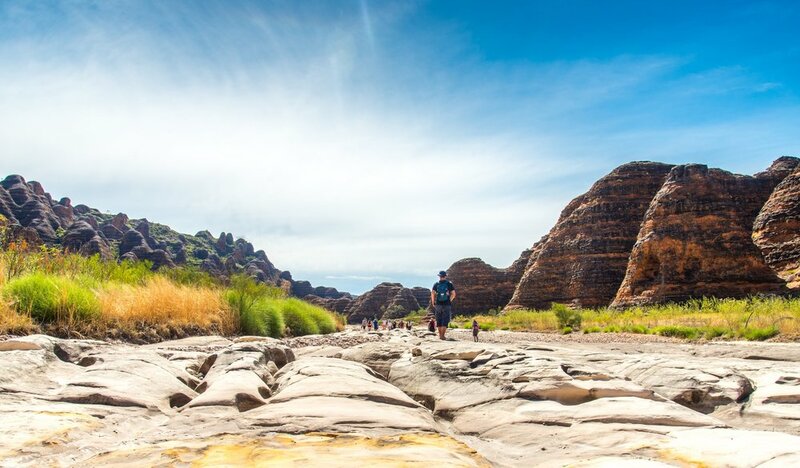 A 7-day adventure through Kakadu National Park & Arnhem Land seeing some of the best natural sites Australia has to offer. Immerse yourself in the local culture and learn about the traditions and beliefs of the aboriginal people, as well as see historic sites and rarely seen ancient rock art paintings. You’ll also have the opportunity to swim in two of Kakadu’s most-loved waterfalls, Jim Jim Falls and Maguk (Barramundi Gorge). The tour starts and ends in Darwin. A 11-day adventure-filled trip travelling the most remote parts of the Savannah Way. We travel east through Kakadu, Mataranka, Lorrella Springs, Limmen N.P, Lawn Hill Gorge, Normanton, Borroloola, Undara Lava tubes, tropical rainforest of Queensland and many more remarkable places. The tour finishes in the tropical city of Cairns. Jim Jim Falls, Undara Lava Tubes, Lawn Hill Gorge, Twin Falls, Lorrella Springs, Butterfly gorge, loads of billabongs, Echo gorge, Leichhardt Falls, Mataranka hot springs, Ubirr rock shelters, the Southern Lost City, wild remote bush camps, aboriginal art sites and loads more.